A new 'Paid Partnership with' tag will be launched in the coming weeks. Instagram aims to improve transparency for users. Social media is often criticised for the way it allows people to create an online life which is completely different from the one they actually lead. Instagram, with its stunning images, has been accused of perpetuating this facade with staged images, paid 'influencers' and branded posts. In an attempt to improve transparency on its platform, Instagram announced new measures on Thursday that will change the way commercial affiliations are shared and tagged. 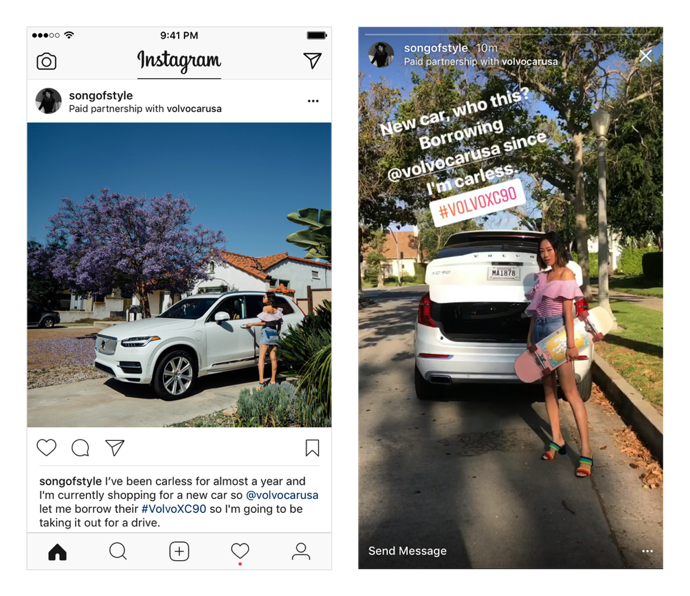 This will allow users to see the relationships between influencers, publishers, creators and businesses directly on Instagram posts. A new 'Paid Partnership with' tag will be included as a sub-header on posts and stories so it is very clear when a commercial relationship exists between the people behind a post. This aims to make the nature of commercial affiliations on Instagram more obvious to users. Instagram will enforce these new measures in a similar way to Facebook. According to the Facebook Advertiser Help Centre, "Published posts that violate policy will be hidden from News Feed until resolved, while still living as a published post on the page." Essentially, posts that aren't tagged according to the new regulations will be hidden from the site until they do so correctly. The new rules will be rolled out across Instagram feeds over the next few weeks.